Cleaning your carpets may seem like an easy task. When you hire a professional that knows what they are doing, we can complete the task in a decent amount of time and the carpet looks and feels great. How hard can it be, right? 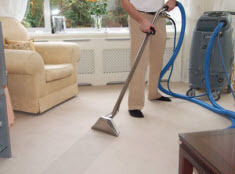 Well a carpet cleaning technician has been trained to treat different types of carpets and stains of all kinds. They are also trained to use the heavy duty equipment and that is why it may seem like an easy task but it takes a lot of work. When you try and do your own carpet cleaning you could be damaging your carpet in many ways. Leading Carpet Cleaning Lists the Most Common Mistakes that Are Made When Cleaning Your Own Carpets. Carpet is Still Wet: One of the biggest complaints that people have when they clean their own carpets is that the carpet is not dry after they are done. Not only is the carpet not dry but is is still pretty wet. When the cleaning process is over you want to move your furniture back in place and enjoy the newly cleaned carpets. If the carpet is wet you can’t start walking on it and you can’t move your belongings back. If the moisture is not removed properly, the carpet can stay wet for several days which is a huge inconvenience. When you use a rented machine it may apply the right amount of water to the carpets but the suction on the unit is not even close enough to remove it. That means all the left over water stays there and that can also cause an odor that is similar to mildew. Leading Carpet Cleaning uses a powerful truck mounted system! Carpet Has Sticky Residue: Your carpets may eventually look somewhat clean when they finally dry but if you run your hand across the carpet you will feel the left over residue from the cleaner. 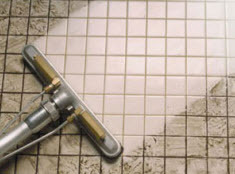 When you don’t remove all the left over water and moisture, you are not removing the cleaner either. After the water dries the cleaner is still there and that can leave the carpet feeling gross and grimy. Carpet Will Soil Fast: The carpet may look clean but the residue that is left over can be a magnet for dirt and dust that is floating around the room and on your feet and shoes. The carpets are not actually clean and that means that all the dirt and grime will come back to the surface causing the carpets to look even dirtier than they are. You then will need to have the carpets cleaned sooner that you thought since they will not stay clean. Professional Carpet Cleaning in Orange, Santa Ana, Rancho Cucamonga, Anaheim, Whittier, Riverside, Chino & Fullerton California. If you want to avoid these major mistakes that happen when you clean your own carpets call a professional carpet cleaner. This can leave your carpets looking and feeling clean so that you can enjoy the room and the carpets. Leading Carpet Cleaning is standing by! You may think that if you spill on the carpet you are going to have a stain, but that is just not true! You could be left with a stain and you could be left with a spot depending on what was spilled. There is a difference between the two and one is more damaging in general than the other. No matter what you end up with you are going to want to be sure that the area is treated and the spot or stain removed by a professional. It is also always best to makes sure that the area is treated as quickly as possible to give it the best chance to be removed. There are several stains and spots that will need the help of a professional to keep your carpets and rugs looking their best. What Is A Carpet Stain? : A carpet stain is quite common and is part of everyday life. Most spills that occur on your carpet will end up a stain and that is not good news. A stain is harder to treat most often and can leave a mark on your carpets. The way you can tell that you have a carpet stain is when the spill soaks into the carpet fibers and has a chemical agent that actually will damage the carpet. Most of the time you cannot actually feel the stain on the carpet since it settles in quite quickly. A carpet stain can be from anything from pet urine, coffee, wine, and bleach. All of these types of spills need to be treated as soon as possible and with a clean cloth. It is best to use the cloth to dab away at the spot to remove all the excess moisture. These spills usually start to damage the carpet fibers so you want to be sure that they are treated professionally as soon as possible. What Is A Carpet Spot: If you are wondering what a carpet spot is, then you are with most people. There is not a lot of people that know what sets these two things apart and part of knowing is a great way to ensure that your carpet spill is treated properly. The best sign that you have a spot and not a stain is that you can usually feel the spot! It is due to the fact that the spot will sit on top of the carpet and often will not soak in. Things that end up being a carpet spot are nail polish and gum or sticky candy. If you have one of these types of spills you want to leave the removal to a professional to ensure that the spot does not get bigger. If you have a spot or a stain on your carpets give Leading Carpet Cleaning a call! How to Clean & Care for Antique Oriental or Persian, Pile or Shag, Fur or Sheepskin, Natural Fiber, Braided or Woven Area Rugs in Fullerton, CA! Do Different Types of Area Rugs Require Different Care? Area rugs can aesthetically add so much to a room. Whether it’s a pop of color, comfort, or protection in high traffic areas, area rugs can completely change the look of any space. There are numerous materials that area rugs are made from and each of these different materials require different care. Leading Carpet Cleaning is here to help you decide which area rug might fit in your room and how you should plan to care for it. 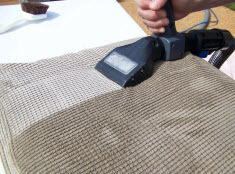 Like carpet, the fibers used in crafting area rugs varies. Each material might require a little different care. Here are some different materials and methods of production you might find area rugs are made from and some tips to keep them clean. These rugs are excellent for high traffic areas. Pile rugs and many shag rugs are made from carpet remnants and the care is very similar to that of your carpet. If you are using these rugs in high traffic areas, you may need to clean them more frequently and vacuum often. Having your pile rugs cleaned at least annually will extend the life of your rug. These rugs require very delicate care. You would never want to spray cleaner on a fur or sheepskin rug and rub back and forth. This will surely ruin your rug. The best way to clean these rugs is the use of talcum powder. Sprinkle talcum powder on the rug and leave it for several hours. Afterwards shake the excess powder off. If there are any spills or stains on the back of a fur or sheepskin rug, you can clean it by using warm soapy water and a washcloth. Oriental and Persian rugs are often made of very delicate fibers. They can add a very elegant and classy look to any space. Because they are made of such fine materials, they should always be handled with extreme care. Oriental rugs should be vacuumed regularly to keep the build-up of dust down. It is beneficial to you, to have a professional take care of all your oriental rug cleaning to ensure they are handled with special care and the correct equipment. Rugs made from natural fibers include those made from jute, sisal, and other grasses. They can add an earthy, warm feel to your room, and are very eco-friendly. These natural fibers shouldn’t be cleaned with an access amount of water, since they can be damaged by water fairly easily. If you have a rug made from these fibers, you will want to make sure the cleaner you used to remove spots and stains is specially formulated for that specific material. Flat braided and woven rugs are a great choice for those that struggle with allergens. Because of their flat surface, they don’t often get dirt and other debris trapped in their fibers. They are easily maintained and some of them can be washed in your washing machine. You should always read the care instructions before washing in your machine to ensure it is safe. Flat or braided rugs can be great for areas that children often play on and are very durable. Shaking these rugs outside regularly can keep the dirt and dust off of them as well. No matter what area rug you decide to place in your room, Leading Carpet Cleaning can professionally clean it for you and extend the life of your rug. Call us today for an appointment.